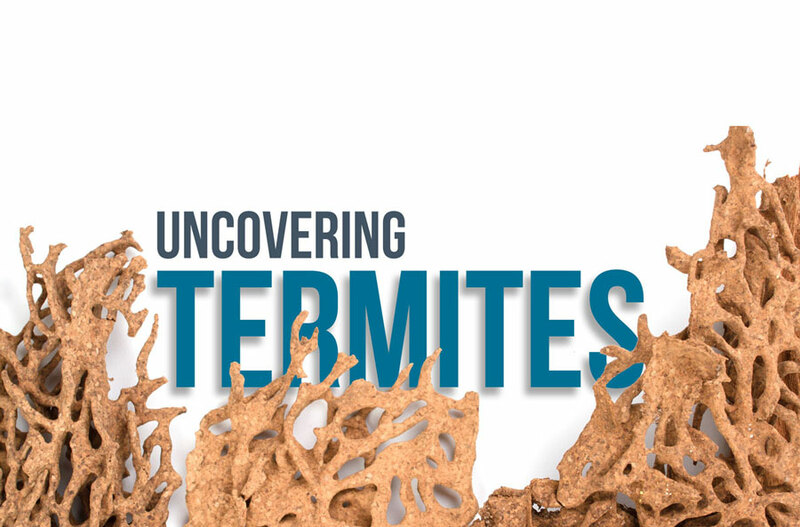 Unless termites are swarming, the chances of you spotting them are extremely low. Yet, termites still manage to cause over $5 billion in property damage each year. Follow our tips to spot the signs of termites and protect your home against those wood-eating pests. Flying termites have four wings and can be light or dark in color. If your wood sounds hollow when you tap it, there could be a hidden termite infestation. Termite damage weakens floors, causing them to squeak. Dry wood termites create tiny exit holes in wood. They are about 1/8 of an inch or smaller. Painted surfaces near termite infestation may bubble or peel. Floor joists are weakened by termites and can collapse if they aren’t repaired correctly. Termite pellets indicate there are termites nearby. Subterranean termites use these “tunnels” to connect their colonies from underground soil to above-ground food sources. They’re usually found around subfloors, joists, and window frames. Since termites are attracted to moisture, prevent it from accumulating near your home’s foundation. With proper downspouts, gutters, and splash blocks, you can easily divert water away from your home. Make sure the crawl space underneath your home is properly ventilated – remove any shrubs, vines, or other vegetation that may grow over your vents. There is no evidence that termites are attracted to mulch, yet they make nice homes with favorable conditions for termites near your home. Even though the most commonly used mulches are low-quality food sources for termites, these pests still consume them to some extent. Firewood stacked against your home is an open invitation for termites to come celebrate. Instead of stacking it against your home’s exterior, store your firewood away from your home. Make sure your home is protected against those wood-eating pests and have it inspected by a qualified professional. All BPG inspectors are ASHI-certified and meet ongoing training and performance standards. Our inspectors provide termite testing and can help you gain an overall perspective of your property.